Napa Valley is one of the most visited places in California for good reason - its scenery and world-famous wines lend irresistible charm. Adventurous Napa visitors can easily add excitement to their Northern California experience by taking a side trip to a nearby whitewater rafting river. Perfect for families, first-time rafters, and whitewater enthusiasts, the South Fork American and Middle Fork American are a 2.5 hour drive from the Napa Valley wine country. 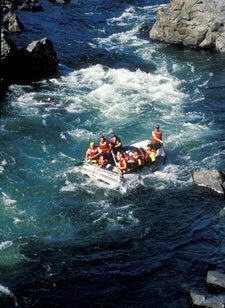 Class IV adventure 3-4 hours from the Napa Valley can be found on the Merced and Tuolumne Rivers. Napa Valley visitors looking to test their limits and add a high dose of adrenaline to their vacation can brave Cherry Creek, California’s most advanced whitewater river.